If you like music and want to wear something bespoke then this range is for you. 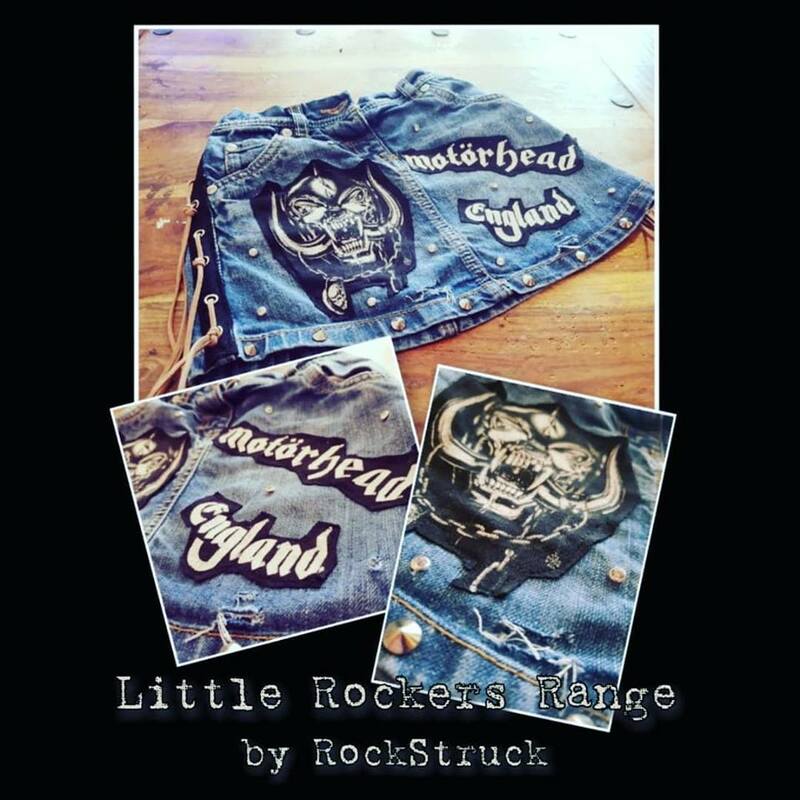 RockStruck jewellery is inspired by and made from various guitar parts and accessories and our clothing and stagewear range comprises one of a kind pieces on general sale or custom orders designed to help you to create a specific look for the stage. We also sell our one of a kind music-inspired artwork pieces as and when we get time to make them! Because we know that kids need awesome clothes to rock out in too, we are launching the #RockStruck Little Rockers range this Autumn. All pieces will be one of kind and the range will be suitable for children aged 2-11 years (approximately!). If you want to bag a cheeky discount when the collection launches, click the button!